He said that any such claims were totally fictitious and used as an excuse to sack him. 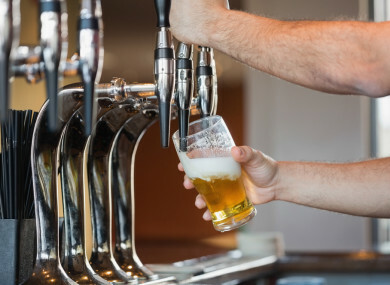 A BAR MANAGER who claimed he was unfairly dismissed by the pub he worked in after facing allegations he’d misappropriated funds has been awarded over €16,000 at the Workplace Relations Commission. The manager said that he was employed by the pub for 18 months when he was called by the owner and asked to meet him in his car. The worker claimed he was subsequently made aware by others that his former employer had made allusions that he had stolen money. While he didn’t have access to the company bank account, the man said it was normal practice to pay suppliers from the pub float and this never involved misappropriating any funds. The manager believed the only possible reason for his dismissal was that the pub owner may have thought he was too strict in relation to the barring of customers from the pub. He said the bar had a bad reputation under previous ownership and, as a result, he didn’t tolerate any unruly behaviour by customers while he worked there. When he was dismissed, he said no issues had been raised with him and that he “did not receive any prior warning, either verbally or in writing… that his employment was in jeopardy”. Furthermore, he said that when his employment was terminated in April 2017, he was owed a great deal of annual leave. As the employer didn’t turn up to the hearing, and because the WRC adjudicator found the man to be a “very credible witness”, it was ruled that his dismissal was “substantively and procedurally unfair”. As a result, he was granted €15,000 for unfair dismissal. Turning to the annual leave entitlements, the worker was awarded an extra €1,658, bringing the total compensation to €16,658. Email “'The show's over, you're fired': Barman who says he was accused of stealing funds awarded €16k”. Feedback on “'The show's over, you're fired': Barman who says he was accused of stealing funds awarded €16k”.